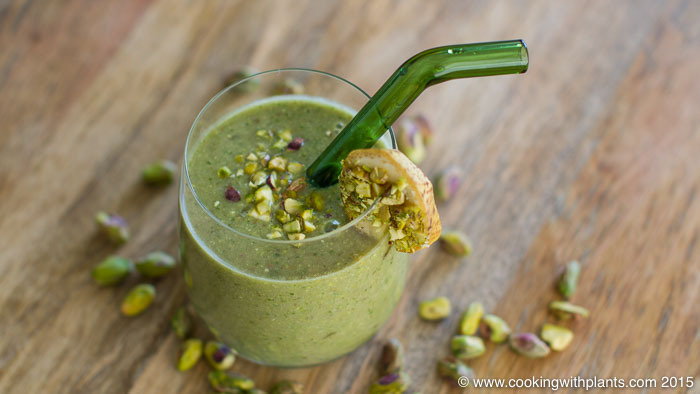 This pistachio mint green breakfast smoothie tastes absolutely amazing and is one of my favorite vegan breakfast recipes. If you are in a hurry or just don’t feel like spending much time in the kitchen, then this tasty green smoothie is a must! Add all of the ingredients to a blender and blend until smooth and creamy. Mine took about 1 minute. Enjoy!